Jill Brandstetter, 60, of Louisville, KY passed away on October 27, 2018 at Baptist East in Louisville, KY.
She was born in Paducah, Ky on May 31, 1958. She graduated from Paducah Tilghman High School and continued to receive a bachelor’s in psychology from the University of Louisville. She worked as a social worker for Mt. Holly Nursing Home. She enjoyed her family, U of L Sports, music, and her friends. 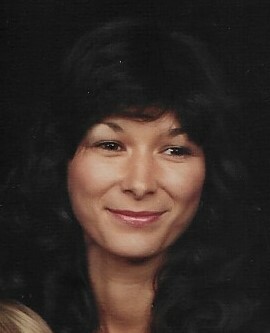 She is survived by her grandchildren, Mackenzie, Cadence, Gracen, Liles, Nathan, Avianaa, Addlee, Ormes, and Isabelle Shelby; her parents, Shelbie Hall, and Frank & Gay Brandstetter; brothers and sisters, Jeff Brandstetter, Gina Brandstetter, and Jeannie Downs; her children, Ben Liles, Brenda Liles, Andy Shelby, Jacob Ormes, and Katy Ormes; nieces and nephews, Chris Brandstetter, Whitney Andrews, Ian Downs, Abbi Downs, Kirsti Brandstetter, Kayle Westmoreland; and other family and friends, Kim France Holloway, Melissa Nelson, Tim and Donna France. She was preceded in death by George Burton, Chris Holloway, Clark Hall, Myrtle Brandstetter, and Frank A. Brandstetter. Funeral service will be at 1:00pm on Tuesday, October 30, 2018 in the chapel at Maplelawn Park Cemetery. Burial will follow. Friends may visit the family from 12:00pm to service hour on Tuesday at the cemetery. Flowers may be sent directly sent to the cemetery.